It's time for another fun event on Empire Avenue. 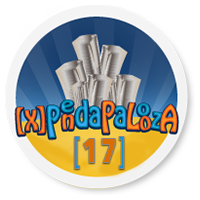 Of the many events hosted by and for the Empire Avenue community, [X]Pendapalooza is the forebear of all the other events. At #17, we cannot wait to see how big #20 will get. But hey, now's the time to get involved, it's great for new players as well as the most seasoned veterans of Empire Avenue. Without further ado, please go over to the event community and join. We've taken the liberty of copying this event's FAQ into this blog so you can see what it's all about! Ron Heigh (e)PWND and John Gushue (e)JOHNGUSHUE should be credited with the organization of the 1st [X]Pendapalooza along with collaboration from (e)ADRIEL, (e)EDUPRENEUR (e)REIGN, (e)BEN, (e)ALLIE, (e)CLATKO (e)FEEDTHEWORLDand(e)NORTHLANDFOX. The first one was held in May 2011 - and just for a few hours. We all had so much fun, we vowed to do it again. The full-day format soon followed. This is the 3rd time the event has been 48 hours! This is the 17th time this event has been done over a 4 year period. It is Empire Avenue's 1st community, member driven event.